Quick: name the five best ways to make a 5-year-old’s lower body more explosive. If you started mentioning exercises, your thoughts were well beyond children. Children don’t care about creating power or methods of gaining strength and speed. Children care about having fun. Therein lies the big challenge for any program that wants to increase the athleticism of its young athletes. Jumping over hurdles and cones from an unstable surface. 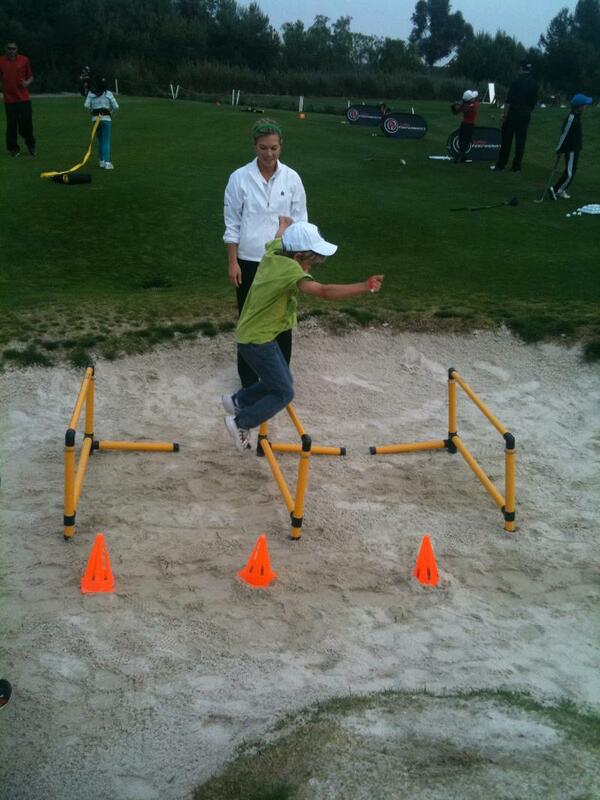 We know that as a child gets stronger the child is able to hit a ball farther. Actually, there is a direct correlation between the power from the lower body, core body and upper body and the maximum ball speed of a drive. To reach our highest fitness level – Black w/silver stripe – an athlete will have a 24-inch vertical jump, 24-foot chest toss and a 24-foot sit-up-and-throw. With those we know that athlete will have a ball speed of more than 160 mph. PGA tour average ball speed is just above 160. Most children want to get faster and stronger. They all want to hit the ball a long way – no different than the rest of us in that respect. But they certainly don’t want and don’t care about lunge jumps, split jumps, med ball cleans, jump tucks, Olympic snatches, front squats or any of the many things geared toward helping them get faster and stronger. Running, jumping, hopping and skipping. That’s where they are going to develop power.